Arsenal Cast Trucks are designed to be as close to precision as the gravity casting process can provide. With extremely low tolerances and superior engineering, Cast Arsenal Longboard Trucks are the strongest and most comfortable cast truck on the market period. 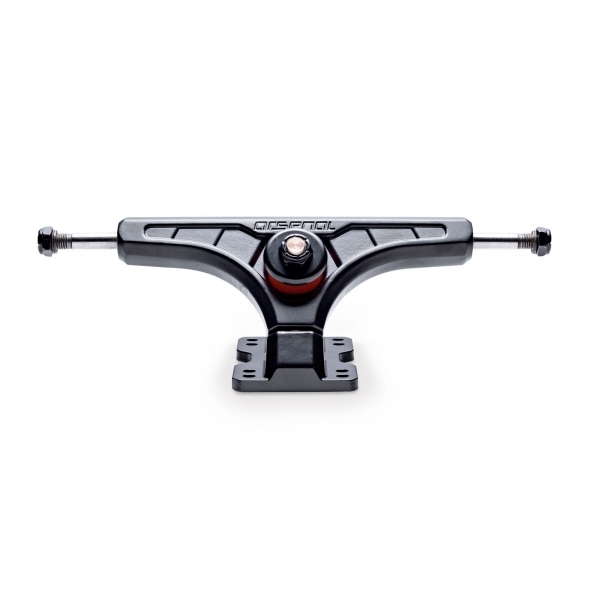 They feature tall bushings, a bushing seat that complements the aggressive geometry and allows for ample lean and stability while skateboarding. After hundreds of hours of testing the strength, durability, and overall feel: we believe that Cast Arsenal Longboard Trucks just may be the best cast truck you will ever skate.